Brisbane’s Rhubarb have an enviable position in the Australian music scene, having success on their own terms and carving out a niche as a career band with respect as both songwriters and performers. The unique chemistry between brothers Steve and Dave Drinkall ignites with the production nous of guitarist Caleb James and stick work of Ian Buchanan, rounding out a four-piece that creates its own sound. Rhubarb have redefined themselves once again with START AGAIN. Leaping to fame with their surprise 1999 hit Exerciser, Rhubarb entered the top 20 of Triple J’s Hottest 100, cementing over 15,000 sales and counting, of their debut album Kamikaze. The album was released on the band’s own independent label Toupee Records, adding further weight to what was a phenomenal achievement. With Triple J hits from Kamikaze including Zero, Pennywise and the title track, the band proved they were far from a one hit wonder, becoming live favourites and playing at The Big Day Out, Offshore and The Falls Festival. Their second album Slow Motion was greeted with critical acclaim in 2002, with radio hits like Light on Your Shoulder, New York, and the title track all showing a massive growth in the band’s songwriting which displayed a subtlety and style of international ranking. A string of national tours solidified their live following, growing the depth and breadth of their fan base and playing with bands including Creed, The Whitlams, You Am I, Spiderbait, The Cruel Sea and Killing Heidi. The Australian and Courier Mail both listed Slow Motion in their Top 10 Albums For 2002, while Rolling Stone claimed it “totally irresistible”. 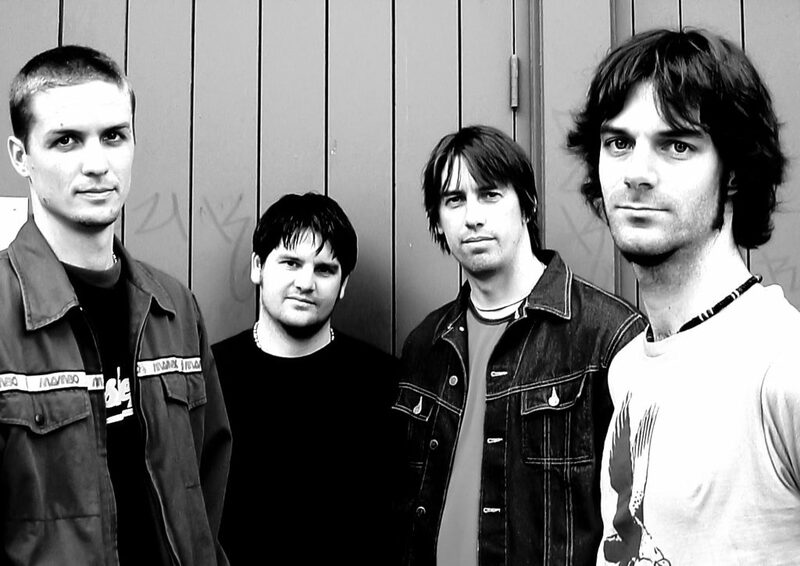 Completing the Slow Motion period in late 2003 with another successful national tour, Rhubarb went to ground, writing, rehearsing and testing out material live for their third album. With Caleb James once again filling the producer’s shoes, START AGAIN and the soon-to-be-released new album, was created throughout 2004, with the result a great progression into a record that redefines the band’s rock edge while keeping the emotional depth of Slow Motion and hook-laden style of Kamikaze. Tracks like City Life and Self Control show Rhubarb can simply rock out, while Feet on the Ground and Start Again show a heart and knack for melody that will broaden their audience even further. The recording process also saw experimentation with a range of different instruments, resulting in one of the album’s highlights Let You Down, recorded with a full horn section and funky breakdown, once more combining a variety of elements and making them uniquely Rhubarb. Rhubarb are returning with an album that will no doubt be critically acclaimed once more and will make an assault on radio like never before….. and still on their own terms.